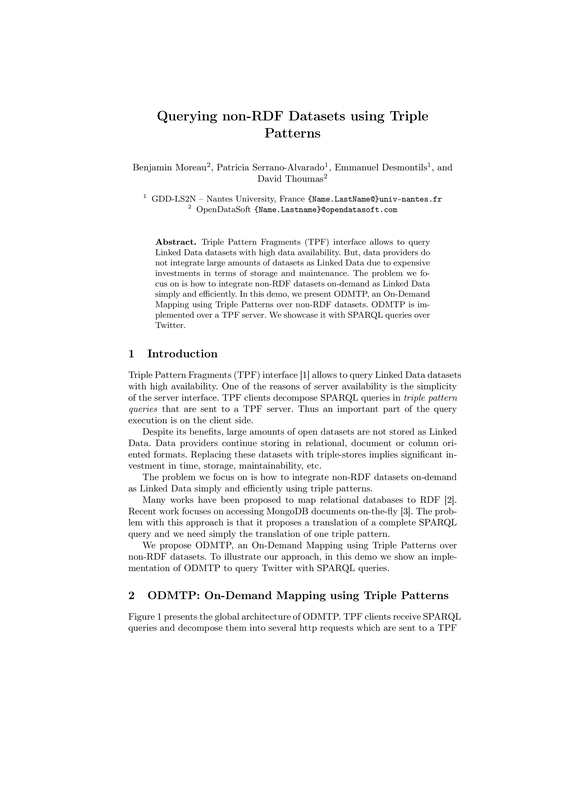 Triple Pattern Fragments (TPF) interface allows to query datasets with high data availability. But, data providers do not integrate large amounts of datasets in the Linked Data due to expensive investments in terms of storage and maintenance. The problem we focus on is how to integrate non-RDF datasets on-demand in the Linked Data sim- ply and efficiently. In this demo, we present ODMTP, an On-Demand Mapping using Triple Patterns over non-RDF datasets. ODMTP is implemented over a TPF server and we showcase it with SPARQL queries over Twitter.